Natural beauty starts with clean, healthy skin. And clean, healthy skin starts with nature. 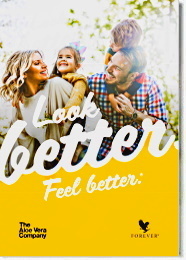 For over 30 years, Forever Living Products has been a leader in finding and prefecting natural sources for softer, smoother, beautiful skin. 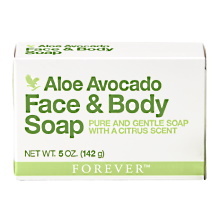 FLP's Avocado Face and Body Soap is a perfect example. Made with 100% pure avocado butter, Avocado Face and Body Soap loves your skin, moisturizing as it cleans with the natural rejuvenating properties of this powerful fruit. Avocado offers relief for almost every skin type, gently clenseing oily skin with no irritation to keep pores clear and healthy. 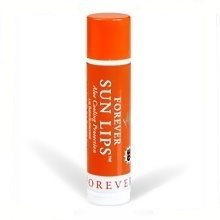 For dry, sensitive skin, it smoothes quickly and penetrates to nourish and moisturize. And because it’s a moisturizer and a cleanser, Avocado Face and Body Soap continues working after you bathe. The fresh citrus scent is a gentle reminder that it’s helping to keep your skin soft, supple and healthy all day long. Apply Avocado Face and Body Soap to the face or body for cleansing the skin as needed. Rinse completely, then towel dry. The statements contained herein have not been evaluated by the FDA. The products discussed are not intended to diagnose, mitigate, treat, cure or prevent a specific disease or class of diseases. You should consult your family physician if you are experiencing a medical problem. 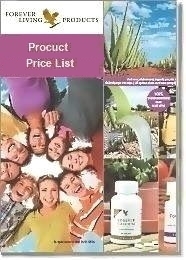 Aloe Vera Store is not the official website of Forever Living Products.